Having absorbed the bitter reality of yet another revealing papal interview, one that somehow managed to offend Catholic sensibilities even more than the last, all but the most detached among us are now struggling to come to terms with what the future holds under a Bergoglio papacy. Let’s be honest; modernist popes aren’t exactly the exception to the rule in this post-conciliar age. Hell, we’re even gearing up for their canonization! 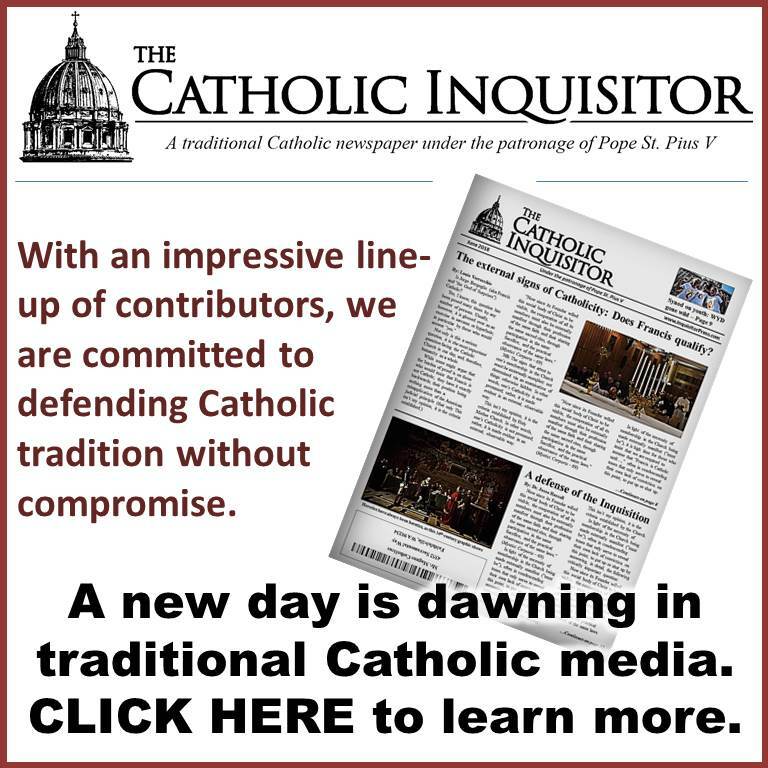 So why then are Catholics today reeling in what appears to be an unprecedented way? Simply put, because they should be. We have entered a new phase in the post-conciliar destruction of the Church. The days of pretense and nuance are over. The quaint little idea of “continuity” is now passé; open season on tradition and those who love it is in full swing. John XXIII, whose elevation to the papacy officially inaugurated the active onset of the rebellion, felt compelled to walk a fine line in order to keep up traditional appearances so as not to unduly create unrest among the masses. All indications are that Pope Francis and the cardinals who elected him are quite convinced that the takeover has finally reached critical mass, wherein both clergy and laity who prefer “the church of man” over the Church of Christ are now comfortably in the majority. I, for one, would have to say that they are correct. As far as Francis is concerned, therefore, it is time to set forth the humanist agenda without apology. So began the pope’s tete-a-tete with the atheist journalist, Eugenio Scalfari. As for the missionary work of converting the world to Jesus Christ and His Holy Catholic Church, it doesn’t even make the list. “Proselytism is solemn nonsense, it makes no sense,” the pope said, confirming what I’ve long since recognized; namely, that the “new evangelization” has absolutely nothing to do with actual evangelization. Is it shocking to hear the Vicar of Christ publicly state that the mission that the Lord has given to His Church is nonsense? Certainly, but for this pope it’s entirely consistent with previous statements. Get that? While the previous popes from John XXIII on forward simply ceased to call others to conversion, this pope boldly and explicitly states that such isn’t even necessary. As I said, the days of nuance have ended. But wait, Pope Francis did say that Jesus will do the rest, the papal apologists will protest. Before anyone goes hanging their Catholic hat on this reference to Jesus, it may be a good idea to consider who this Jesus is insofar as Pope Francis is concerned. I’ve got truly terrible news for you; it’s not the Jesus of Catholic doctrine. Let that sink in for a moment. It should strike holy terror in your heart. Don’t let the mere invocation of Our Lord’s blessed name fool you. The cold hard reality is simply this: The 266th Successor to the Throne of St. Peter is actively preaching a god who is not Jesus Christ, King of kings and Lord of Lords. In this one concise statement, Pope Francis has delivered the credo by which he intends to complete the work of supplanting the Church of Jesus Christ with the church of man. Ignore it at your own peril. The College of Cardinals collectively chose Bergoglio for this very task. Anyone who has endured the agony of hearing Cardinal Dolan extol the virtues of Francis cannot but understand; he is doing precisely what he was chosen to do. Indeed there are those who will still, even now, labor to make excuses for this pope, wrenching with all of their strength a quasi-Catholic understanding out of what he is saying. Their denials change nothing. Pope Francis has been telling us from day one, in both word and deed, that his is a humanist agenda, not a Catholic one. Let’s dissect his creedal statement, keeping well in mind that Francis is not stupid. He is not simple, nor is he humble. He knows exactly what he is saying, and he says it proudly and without qualification. Furthermore, he knows precisely to whom he is speaking and who he represents. That Francis is delivering this manifesto to the world via an interview with an atheistic humanist is not mere happenstance, it is a gesture of immense meaning. Jorge Bergoglio didn’t skillfully negotiate a more than two decade long episcopal career by sheer naiveté, nor did he earn the red hat from the hands of his humanist predecessor, John Paul II, for lack of cunning. Does this mean that Pope Francis is, with full knowledge and deliberate intent, working to undermine the Church of Jesus Christ? None among us are able to render such judgment. Even so, the best one can say is that this pope is a useful tool in the hands of the Evil One who has ever sought to destroy the Church. In either case, he is a dangerous man in a powerful position, and barring an about-face that will likely require the intervention of Heaven itself, we can well expect severe repercussions. As I said, Francis is consistent; he has already made it exceedingly clear that this is what he believes. Here, he is simply telling us why. Once again, we find words that are familiar to the faithful – agape, salvation, beatitude – but the content of this statement is condemnable. While the call to love others is indeed a crucial part of Our Lord’s preaching, it is utterly false to say that this is “the only way” to salvation. Jesus Christ Himself is the only way to salvation, which is precisely why dying with Him and rising with Him in the waters of Baptism is necessary for salvation. Francis leaves such things deliberately unsaid. Why? Because the church of man has no need of such things; rather, its doctrine is nothing more than to love others in the way mere men understand what love is. 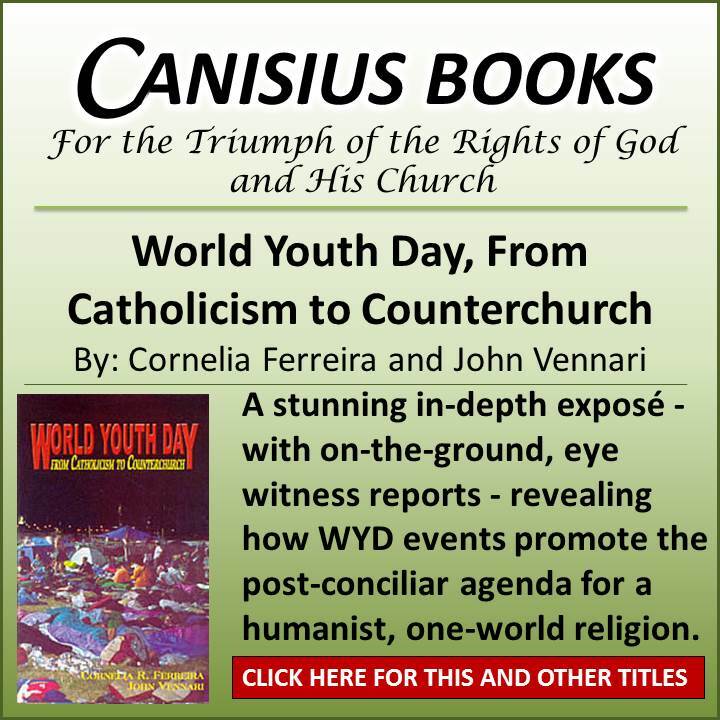 We have entered a new phase in the post-conciliar destruction of the Church indeed. The days of pretense and nuance are most certainly over. If this is the bitter reality of Catholic life under the papacy of Pope Francis, so be it. 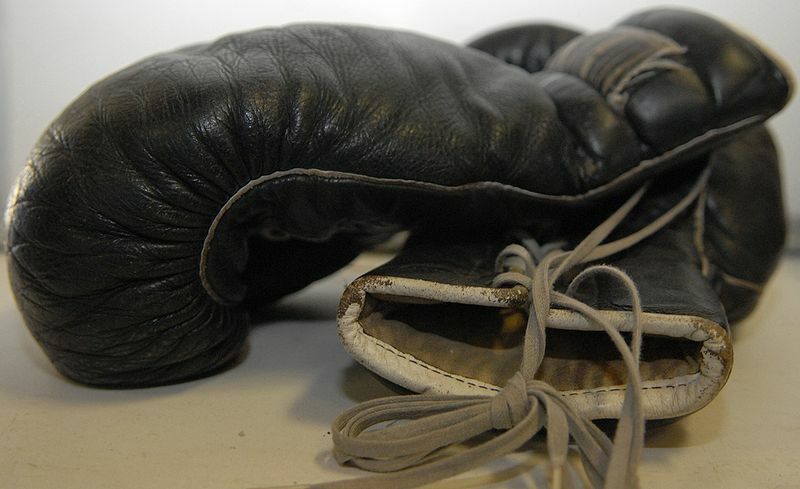 My gloves have long since hit the floor and I will pull no punch in defense of Christ the King and His Holy Catholic Church, regardless of whatever persecution doing so may invite. I`ll second that game on!! and God Bless you !!! Make that a third: game on indeed! “All are brothers”. Lie. Only those who seek Christ and are baptized become adopted sons of God and are thus brothers. “Each has his own idea of good and evil…and must choose to follow the good and fight the evil as he conceives them”. Lie. Relativism big time. Hitler thought what he was doing was good. In Pope Francis’ mind, that make the world a better place? Thank you Louie for calling out the snake from the grass. Isn’t it amazing that the walking wounded can be battle ready at any time? Now, that’s Catholic !! Well said, Louie, the new phase of dismantling of the Catholic Church has begun in earnest. God help us! I admire you, Mr V. I have tried to write about this on my own little blog but the words just could not come. You on the other hand have seen fit to write well and forthrightly on these latest horrors. 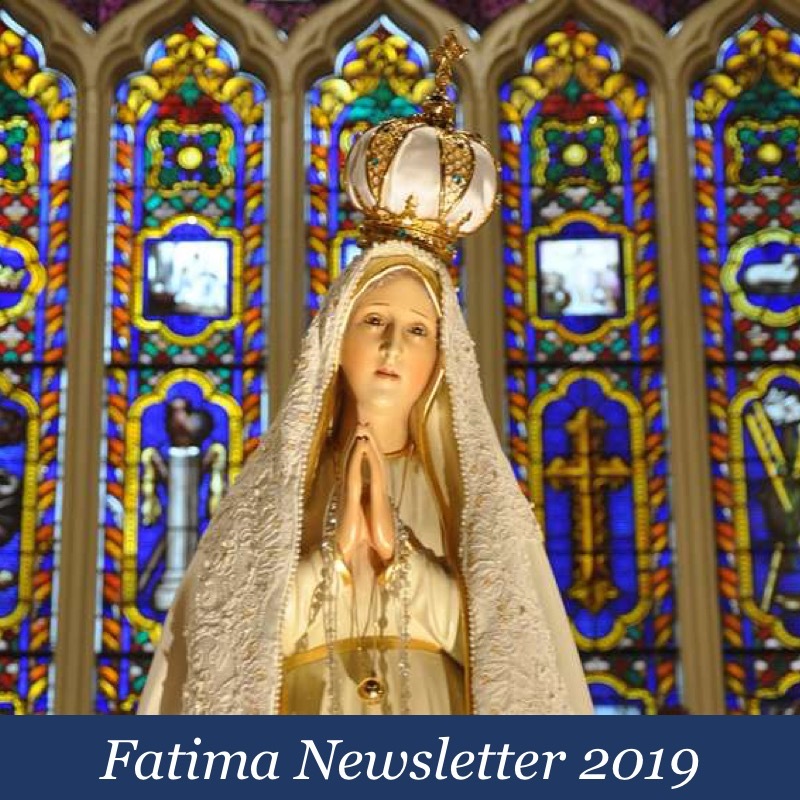 What she is feeling, and you are feeling and what many Catholics are realizing is that the serious problems in Rome are not going to go away any time soon. I don’t know if you are aware that E.Scalfari, the new Pope’ spokeperson wrote uttrrly offensive articles against Pope Benedict XVI, that his newspaper La repubblica has been always at the forefront of any anticlerical and anticatholic Faith battles in our country. Scalfari was a youg fascist when at University, even applauding Fascist Racial Laws in 1938, he didn’ t really particopate in any antifascist movement, the so calledi Resistenza, until Americans arrived in Rome. Then he became a radical liberal, partly socialist, partly communist, but always on his own, aiming to become a king maker in our politics. Usually however everyone he chooses as Saviour of our country fails miserably at the pools. A last note: his newspaper is owned by Mr De Benedetti (= Of Blessed), a Jew who spent the WWII years safe and sound in Switzerland, not helping anyone of his faith to escape, and then back to italy he manged to destroy Olivetti firm, one of the principal information technology firms in the world in the ’60 and ’70, firing hundreds of employees and devastating one of the best industrial districts in Italy. Several years ago he took the Swiss citizenship in order not to pay taxes in Italy. he is also a convicted fraudster, but, unsurprisingly, he did never spend a night in jail. Dear Lord! I do believe that the Church you instituted will last until the end of time. And I have believed that your Vicar would not fail us in the areas of faith and morals. Oh, Lord, I am so confused and my heart is beginning to hurt. All these years of noncatechesis, so much damage since Vatican II, so much abuse against true Catholics and now all this relativism! Oh Lord: I fear for souls in this darkening world. We have so few true leaders to show us YOUR path. I know You are infinite and perfect mercy. But, Sweet Jesus, perhaps it is time for Your justice. Like poster Aged Parent above, I would like to say that I admire what you have written. Tell it to us how it is. We need you. Dear Mr. V. Bracing, bold, courageous, penetrating and true. I will be praying for you because what you are writing will cause a hard political rain to fall on you and I would be shocked if the Hierarchy has not identified you as one who must be silenced post haste. Your Bishop will come under extreme pressure to “deal with you”” and Satan will be tirelessly striving to stir-up foment against you. I do not know you but I sense a real man – a Real Catholic Man – and, Lord, have we been missing men like you this past one-half century. Be prepared, Sir; they are coming for you and your family and noting, I mean nothing, will be considered so sacred that they will not use it against you personally in underhanded ways that we can not now even imagine. You have my prayers and my confidence; soldier on, man. Pope Francis said: “The Son of God became incarnate in the souls of men….” This one stood out in my mind as I read it. I thought the Son of God became incarnate in the womb of Mary by the power of the Holy Spirit. He seemed to be taking a poetic license with his words there. We appear to be facing a time of testing and persecution in Western culture. It would have been nice of the Pope was with us, but it appears that he is part of the cross that we will have to carry. Thank you so much for your clarity and courage. Bergoglio actually makes John Paul II look good. Now that’s a scary thought!! This is the best analysis of the “second interview” I’ve seen yet. The mask is off that hid the true face of the modernization of the Church. Congratulations on another insightful article. I also second the comments of Magdalene and I am Not Spartacus. It seems things are getting pretty interesting, to say the least. And what is the endgame, Mr. Verrecchio? Schism? Sedevacantism? Apostasy? Today is Saint Francis’ feast day. Let’s pray to this great intercessor before the throne of God. It would have been the duty of the bishops and priests to warn the faithful. BTW, Pope Francis is only following in the footsteps of his teachers Lucio Gera and Juan Carlos Scannone SJ. Their Jesus isn´t the Jesus of Catholic Doctrine, too. he end game is this, as I have heard from theologians and Canonists at Rome: it is an established immemorial right of the College of Cardinals to counsel, rebuke correct and even judge when a Pope has lost his office on account of manifest, public and pertinacious heresy. Bergoglio is clearly arrived at manifest and public. The Cardinals who still have the faith need to ask him to make a public retraction and to confess the catholic faith in full; if he only confesses it without denying his denials the doubts remain. If he refuses their corrections, they must gather their fellow cardinals and give a solemn statement of rebuke with a time limit for compliance, say 3 months. After which, they will proceed to pronounce that he has lost his office by reason of heresy and apostasy. Until they do that, since he is a manifest, public heretic: any bishops or superiors he appoints must be publicly questioned as to whether they adhere to his errors; and if so, they must be regarded by their inferiors as usurpers and illegitimate. Subordinates without local superiors, on account of this, have then the natural right to elect and choose their own superiors, even local bishops. None of this is schism, but all approved by the perennial practice of the Church for 2000 years. Catholic at Rome, what you say is logical. However, it will never happen. You realize that, don’t you? I would not say, “Game on.” I would say, “Game over.” The traditionalist understanding and program has failed. 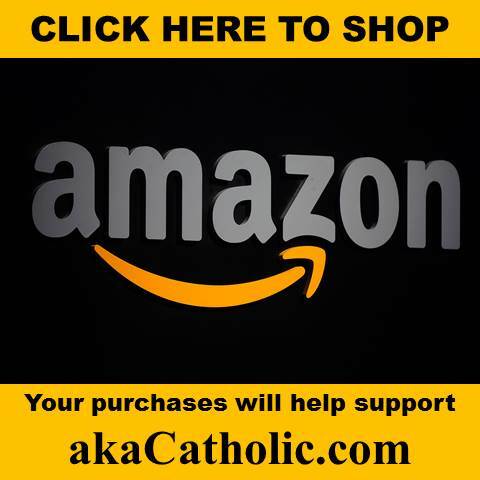 What will become of the Catholic Church? What has become of it? What conclusions must one draw? These are the questions I’m pondering this week. Personally, I’ve already tried everything. I’m out of options. If Catholic at Rome means that he has heard the scenario described raised, then it would be well done, the repudiation of the Council through the repudiation of this pope. But ah God it would have been easier to yield when they could on the texts SSPX has raised and raised, on religious liberty, collegiality, and ecumenism (you can see those are the concepts in which Francis is erring). To name a pope as heretic is solemn indeed. Please let us pray and fast. Good bless you, Louis V.! May I always have the courage to stand by your efforts. Jesus remains the answer to all our needs. — Many followers of the Master remain. As an Orthodox Christian, I have been very confused by the new Popes comments. The key question now? What will he do to those like yourself who actively oppose him? My guess is that he won’t be some wishy-washy liberal and excommunications will be coming. And yes, I do tnink the end game is possibile, because the Holy Ghost is at hand in times like these to wake up even the living dead. NOTHING happens that the Lord does not allow. Whatever does happen, the Church WILL survive (even bad popes as history has proven), Christ promised it. Cling to the official teachings and keep the faith. What you say is most true, sad and true. Yet, even bad popes can still guide the Church and world events. The Holy Father’s call for fasting and prayers for Syria (and his letter to Putin) was truly awesome and I, like many faithful responded. There is an interesting article in the current Culture Wars which ascribes such an outpouring of love and response to the Holy Father was probably crucial in preventing Obama from doing Bibi’s commands and bombing Syria. Russia, through Putin, gained the moral high ground and the people in the USA and Britain, noticed. God works in mysterious ways, even with wayward popes! Vivat Christus Rex! I’ve commented once or twice under the nickname ‘Clare’. But now, so that I might distinguish myself from other Clare’s who wish to comment, I have added to my nickname that I am from the state of Washington. I am a new convert to the Catholic faith. I love my Catholic faith. And so I will be reading this blog from now on. These people stopped just short of calling Pope Francis an antichrist. I want to let you know that I have changed my nickname just in order to prevent your comments from being attributed to me. Because of the strident content of your comments (above) under the nickname ‘Clare’, who could blame me? Clare WA, if you are a new convert, it’s not a good idea to read blogs like this, at all. Popes can be heretics. I am sure many have been. I know some have been. They can also be stupid, immoral, and insane. So can anyone. All of us have fallen into the trap of Pope-worship. The only thing the Pope “can’t” do and be Pope is solemnly declare untruths as matters of faith and morals. I have every confidence that this Pope, heretic or not, will not do so. Please, everyone, stop getting crazy over human nature. Trust the Lord. It is indeed sad that so much harm is being done to the ignorant and benefit to our enemies by the informal words of the Pope, but that is all they are. Thank goodness most Popes in history have not had the option of instant global communication of their stream of consciousness. Thank goodness Peter didn’t, for that matter! So… What Did The Pope Really Say? My emphasis. Il Figlio di Dio si è incarnato per infondere nell’anima degli uomini il sentimento della fratellanza…. The Son of God was incarnate in order to instill in soul of men the feeling of brotherhood. Perhaps better… “awareness… sense” of brotherhood? I would like to take that “sentimento” in the Italian sense of “awareness”, but since Pope Francis is fundamentally a Spanish speaker, I don’t know what he meant by it here. I suspect we have to hear “sentimento/sentimiento” as “feeling”. Honestly, my Spanish isn’t quite strong enough yet to hear that possible nuance behind the Italian. In Italian I would have said something like, “consapevolezza”… or, now that I think of it, “senso”. We have to be careful with the reports about what Francis said. We have to check the English version of the interview against the Italian. Look, I think this papacy is VERY troubling, but interpreting his English translation in the worst possible light is not the way to go. That being said, other statements of his are, yes, ridiculous! Writing for the moment as Clare from Florida, I’d like to remind Clare from Nj that Clare from Washington solicited no advice and so isn’t it clear, Clare from NJ,., that we must presume the best about Clare from Washington and consider her as competent to clearly judge the situation? Clare, from NJ, I’d clearly say that she’d do well to only read this blog and stay clear of the Girondists in the Conservative Catholic Collective. You can presume that I know when to give or withhold advice. It’s called the virtue of prudence. And I suggest that you exercise it as well. Its a painful thing indeed to not be of one mind with the pope. God help us. A great sorting of souls is upon us I think. In His great mercy, Christ is sorting the sheep from the goats before the Great Chastisement hits us. Remember that if Garabandal is true, it must happen in our lifetimes. The Masonic Church is of course of the goats. I believe it is time to break with it completely. Thank you Louie Verrechio for taking the gloves off. Our Church is worth the danger. game on. it’s crunch time. whatever, you do, start with prayer. Clare, Clare NJ – You are a poseur…. and seemingly for the moment a deputy of/from Gironde, a Girondist…. therefore you must certainly read (and study) this blog. Do yourself a favor. An excellent piece. It is hard to disagree with a single line. Thank you, and please continue. The time for soft words and deference to the architects of devastation has long passed. May St Joseph, guardian of our Holy Mother the Church, pray for us. Clare WA, I suppose that in RCIA they did not get around to teaching you that rash judgment is a sin against justice. Do not call someone a “poseur” publicly unless you are absolutely sure of yourself. in the words of the great Catholic thinker John Senior ..”The crisis is over, we have lost. This no longer just a prediction, it is a simple observation. Rome has been desecrated. We are in the age of darkness … The modern world and the Church deserve the punishment that God is raining down upon us”. I am afraid Clare has a point when she says that the truth lies more with “Game Over” than “Game on” and the Game was lost a long time ago – 1962 to be exact. Sorry to be so gloomy but whole thing just that makes me unutterably sad.